20inch Moto Metal wheels! Leveling kit! Tonneau Cover! Black Emblems! EVERYONE QUALIFIES FOR THE JOHNSON MOTOR's SALE PRICE! 20inch Moto Metal wheels! Leveling kit! 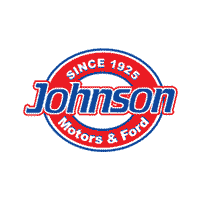 EVERYONE QUALIFIES FOR THE JOHNSON MOTOR's SALE PRICE! Here at Johnson Motors, we also have great selections of GMC Canyon in Menomonie and GMC Sierra 2500HD in Menomonie.